As a Humorous, Motivational Business and Healthcare Speaker, my mission is to Improve People, Performance and Productivity. A mission I bring to Associations, Corporations, Healthcare and Non-Profit. To do this, I need to consistently improve myself. One simple, cost effective way to improve one’s self is to read and then read more. The following is a selection of books I have read over the years. Ronald Reagan speech writer Peggy Noonan outlines very simply and coherently the basic rules of good speech writing and communication. Poignant book about the relationship between two American titans. In depth essays on some of The Eloquent President’s greatest speeches and writings. Wonderful, fun book on punctuation! Yes, fun! and educational. 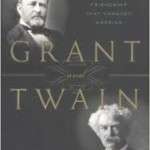 An interesting book about the relationship of two major and enigmatic characters of the Civil War. A passionate guy writes passionately about why Detroit car business imploded. 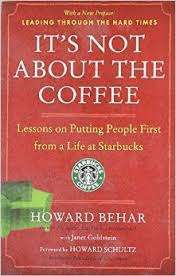 Interesting if not overly inspiring book about the Starbucks Brand and Brand Experience.